Finnish game maker Rovio's shares soared five percent Thursday after the company reported first-quarter results with net profit doubling and "record revenues" from its sequel game Angry Birds 2. Rovio's mobile game Angry Birds was a worldwide success after its release in 2009, prompting the company to launch a sequel in 2015. The group said its net profit more than doubled to 7.1 million euros ($8.4 million) year-on-year after taxes, while its total revenue decreased slightly by one percent to 65.7 million euros. "Our top game Angry Birds 2 achieved record revenues and Angry Birds Friends continued its steady performance," Rovio's chief executive Kati Levoranta said in a statement. Rovio was listed on the Helsinki stock exchange last September with high expectations, but its share price crashed some months later, after giving a warning of negative full-year 2017 results in February. Thursday's first quarter results came as a positive surprise to investors and the company's shares were up 5.2 percent in mid-day trading on the Helsinki stock exchange. Still the sequel game, in which slingshots continue to be used to launch little birds at fortresses built by green pigs, has not attracted the same success as the original game did. 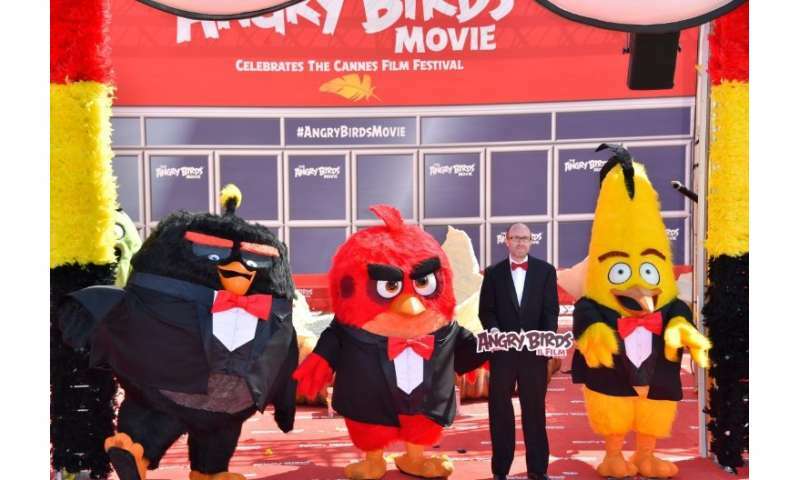 After having to sack one third of its employees in 2015, Rovio revived its Angry Birds brand by producing an eponymous film together with Sony Entertainment in 2016. Levoranta said the company would be releasing in September 2019 a sequel also to the movie, to attain further revenues from licensing its brand to consumer products. "The Angry Birds Movie 2 cast includes the familiar stars from the original movie as well as it introduces new talent from Hollywood films and TV series such as Black Panther, Crazy Ex-Girlfriend and Ocean's 8," she added.